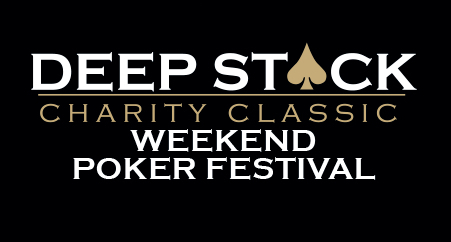 At the Howard Frank Memorial Deep Stack Charity Festival, not only will you see the likes of Scotty Nguyen, Norman Chad, Linda Johnson, Jan Fisher, Mike Sexton, and other top players, but you will also see yourself having loads of fun. In addition to supporting a great cause, players will no doubt be drawn to the cash and prizes up for grabs including 10 poker trips to the Venetian Las Vegas. The Sunday, May 21 main event that will send the entire final table and a guest to Las Vegas is now sold out, but there will be alternates accepted. The alternates are guaranteed a delicious brunch, Carraba’s dinner, and will be entered into a drawing for door prizes worth thousands. Nguyen will kick off all of the action on Thursday, May 18 at the Daytona Beach Racing & Card Club. The inaugural Norman Chad BarBQ and Brew H.O.R.S.E. tournament is scheduled for Friday, May 19 at 2:30 pm with a $150 buy in. Also on Friday, starting at 8:10 pm, you can throw your best punch at the Friday Night Lights bounty knock-out tournament with a buy-in of $190. Saturday, May 20 offers three different events. The Legendary Ladies Of Poker Tournament, the Mike Sexton Superstar High Roller Tournament, and the $30,000 Guaranteed VIP Tournament. This is one of the most popular poker festivals around. To see more of the prizes listed, including a $100,000 Jon Hall Corvette package check out the event homepage.